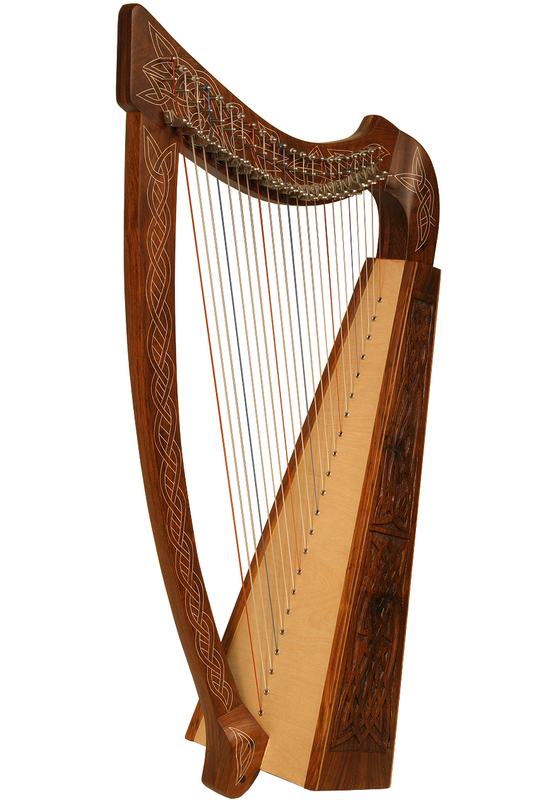 Roosebeck 36 Inch Heather Harp 22 String Knotwork Design & String Set. Roosebeck 36" Heather Harp™ 22 String Knotwork Design & String Set. Approximately 36" high. Featuring 22 DuPont hard nylon strings, a range from C3 to C6, 22 sharpening levers, engraved and inlaid sheesham frame and a birch soundboard for exceptional sound and strength. Includes tuning tool and extra string set.